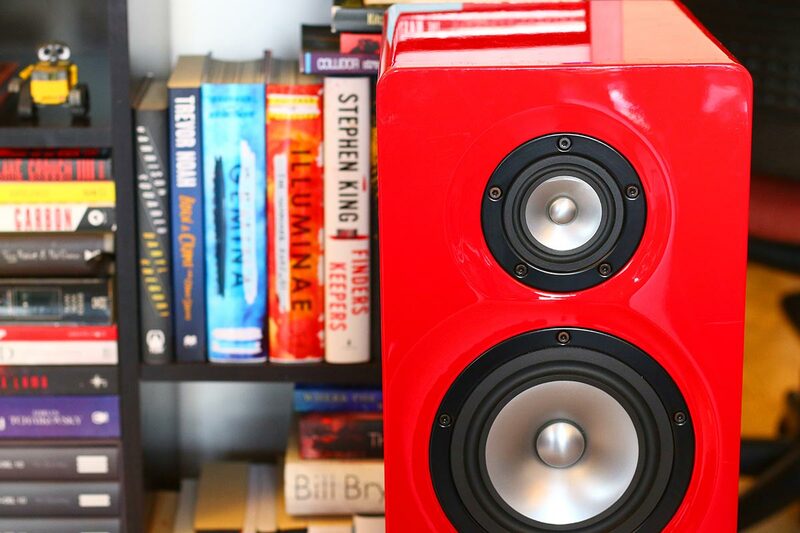 Buying the right set of speakers - and choosing an amp to go with them - is a big choice. But your hi-fi system should be awesome, and we can assist with that. Whether it's wireless or wired, tabletop radio or huge subwoofer, tube or solid-state amp, our buying guides and reviews can help. If you live in an apartment, especially one with a small living room, then a full surround sound system is most likely a no-go. A soundbar is a much better option, and will pack everything you could possibly need into one convenient, slim box. Docking speakers have been around for nearly two decades now, having grown as a separate, symbiotic A/V branch out of the big Apple tree - almost instantaneously since the iPod’s birthday. If you love great audio, a dedicated music streamer is essential. It can become the center of your hi-fi universe, making every listening session that much more amazing. Vinyl records are just cool. They deliver music with an elusive and even romantic warmth that audiophiles continue to love. On a recent trip to Toronto for the TAVES audio show, we got chatting to two guys from Montreal, Pierre and Stéphane, who owned a company called Bluewave. What they were showing was a single product: a tiny little portable headphone amp called the GET. Sometimes, you just need noise. Good, old-fashioned, wonderful noise. No Bluetooth, no cute input lights, no digital displays. Just a big, grunting monster of an amplifier that you can use to mess things up. This is going to be an unusual review. For the first, time, we're reviewing two products at once. Cambridge Audio's CXN (V2) streamer and CXA80 amplifier may retail as separate products, but we've never seen another pair that work so well together. Portable amps are tricky little things. While they unquestionably make your sound better, they don’t have the luxuries that desktop models do. They can’t be heavy, or feature cool-looking tubes, or have loads of connections. We’ll be honest: we never expected to review a product from Goldmund on this site. They’re not just a high-end audio brand; they’re floating somewhere above the very concept of high end. And yet: here we are. We flatter ourselves that we know most, if not all, of the audio industry players, and what they do. But we hadn’t heard of H2 Designs. They recently got in touch to ask if we’d like to try out their new MIYO audio interface. Stereo amps can be boring as hell. The companies that make them are more often than not concerned with treating the internals, and ignoring what things look like on the outside. The NAD D3020 V2 is different. Audio companies are getting smarter. Virtually every piece of gear that crosses the threshold of our office is capable of connecting to Bluetooth and Wi-Fi, handling hi-res audio,or adjusting the sound to fit our unique hearing profiles. Not Onkyo. Rule number one when writing a Schiit review: don’t make jokes about the name. They’ve not only heard them all before, they probably wrote most of them. Rule number two: don’t expect a newer version of a product to even be close to what the old one was. Sonos don't just make great wireless speakers. The company's old Connect:Amp has long been the secret weapon of custom home theater installers, and if you think the guys at Sonos didn't notice this, you're dreaming. Jack Wu is one of the most creative audio designers around. His company, Woo Audio, is the place to go for incredible tube amps. But this time, he’s released something a little different. It’s often easy to forget in the seemingly endless mission for better and better sound, but the role of a Digital-to-Analog Converter (DAC) isn’t just to improve the audio quality. It’s also there to make it easy to send the audio where you need it. If you like to tinker, if you like to go deep into your equipment, and if you like to have your efforts rewarded, then you are going to want to hear this. It’s spectacular. Chord Electronics are mad. Other companies will make a high-end DAC, and call it done. Chord made one, then gave it Bluetooth, then put in a package small enough to slip into a pocket, then made it look like something you'd see in a music video from 1988. No piece of audio equipment is more contentious than the humble DAC. It can cause some pretty major arguments. iFi Audio’s Micro iDAC2 isn’t going to help either side work out their differences with the other – but in our opinion, it’s solid. iFi Audio badly needed a rebrand. The company has a reputation for delivering superb and focused audio gear, but in the past, they’ve done so with all the panache and pizzazz of a statistics symposium. The debate about whether DACs (Digital-to-Analog Converters) actually make a difference to your sound is still one that has yet to be resolved. As good as it is, the OL DAC from JDS Labs isn’t going to convince the doubters. That shelf at Meridian Audio’s HQs displaying their hifi innovation awards must be a substantial one - they’ve come up with plenty of firsts since their formation back in 1977. With the Explorer2, they're hoping to do it again. It’s not often that you can call a piece of audio equipment cute. You can with the Optoma uDAC5. When we took it out the box, our first thought was that someone was pranking us. This thing costs $200? This German manufacturer might not be a household name stateside, but RME have been quietly making nerdy audio equipment since 1996. And they've gotten rather good at it. We were able to spend a month with their ADI-2 digital-to-analog converter.